Sean and My Cousin Vinnie at the Olympic Trials. Sean Johnson, Lee Troup Johnson’s son, was born while the family still lived in Harrisburg. Sean was once asked how long he had been riding, to which he calmly replied, “I have been riding since nine months before I was born.” Lee was not the type to quit riding because she was pregnant. Sean began his riding career in earnest at thirteen when he was given his first horse to break. 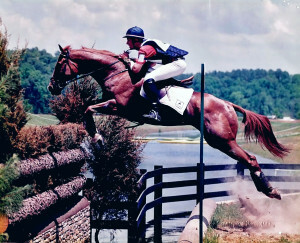 He has been competing in eventing since 1994 and has also competed in western reining, hunter, carriage driving and trail. 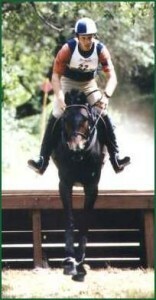 Eventing was Sean’s primary equestrian sport until 2002. 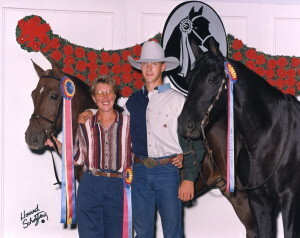 He was selected to compete in the North American Young Riders Championships in 1999 as a representative of Area V and qualified for NAYRC both in 1999 and 2000. In 1999 he worked with Jim Graham in Florence, Alabama. In 2000, he is spending the winter with David and Karen O’Connor in Altoona, Florida. 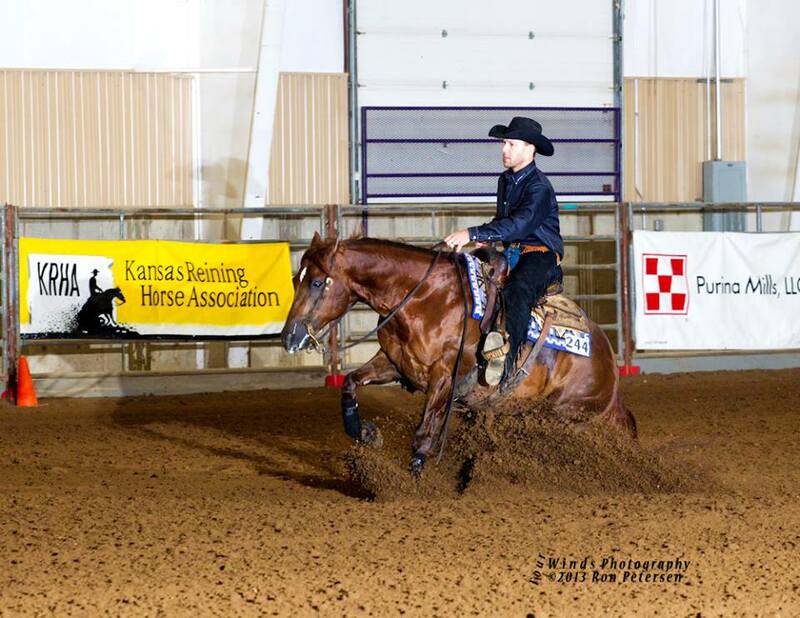 Since 2002 he has been riding reining horses. He now has his own facility, Johnson Performance Horses. Sean Johnson was one of the youngest riders to be accepted for the prestigious U.S. Equestrian Team training, under the tutelage of renowned trainer Jim Graham. 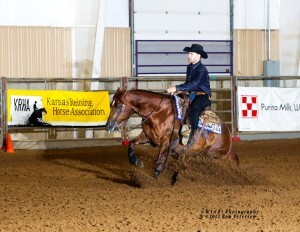 High Point for year end low score award, tie both horses are his rides.